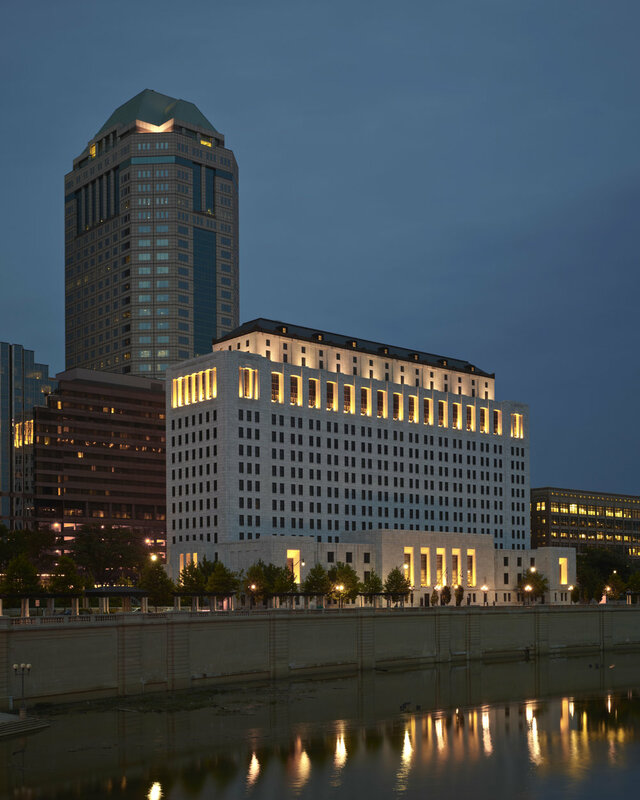 This project involved the adaptive re-use of a 13-story, 400,000 SF state office building completed in 1933 in the “Moderne” style of the day – complete with a collection of interesting art deco details and integral artwork – as a new home for the Supreme Court of Ohio. 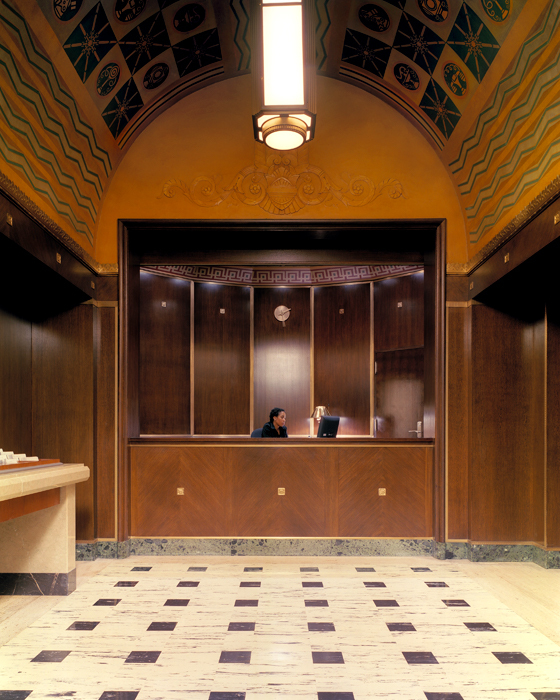 The building’s public spaces are replete with carved wood, marble mosaics, molded plaster, decorative painting and murals, light fixtures and signage, and seven types of decorative bronze. Used over the years as office space for a wide variety of agencies, the building was originally designed with a great deal of flexible office space and a series of elaborate public spaces intended to be shared by all. 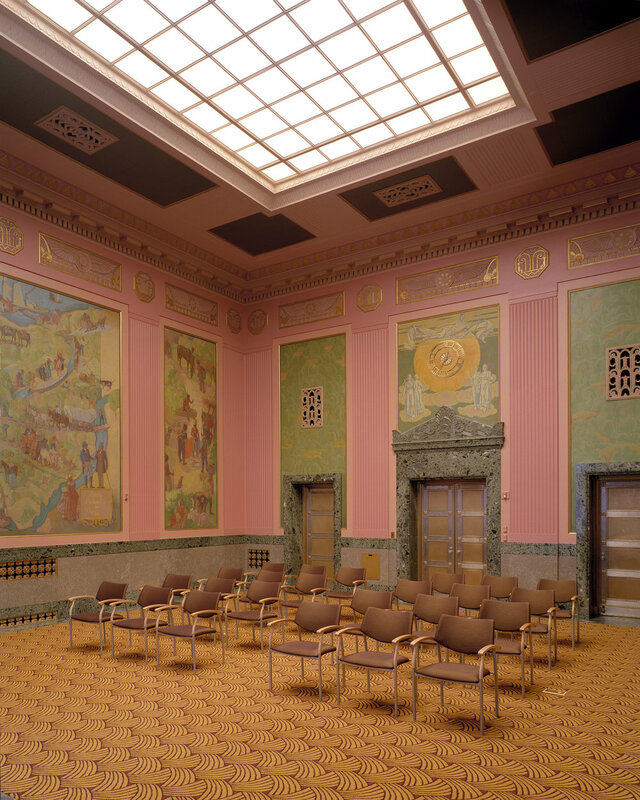 The building adapted well for the Court, accommodating office and library functions, as well as educational and legal functions involving visitors and the public. Specific design challenges included providing adequate security for a modern courts facility and housing the largest and most comprehensive law library in the country, outside of the U.S. Supreme Court in Washington, D.C. Security checkpoints were located in “non-historic” spaces with pathways to historic public areas. The existing “closed” stack library areas were replaced with a unique and very thin structural steel and concrete floor system, allowing three levels of flexible stacks to be inserted into the original stacks area. 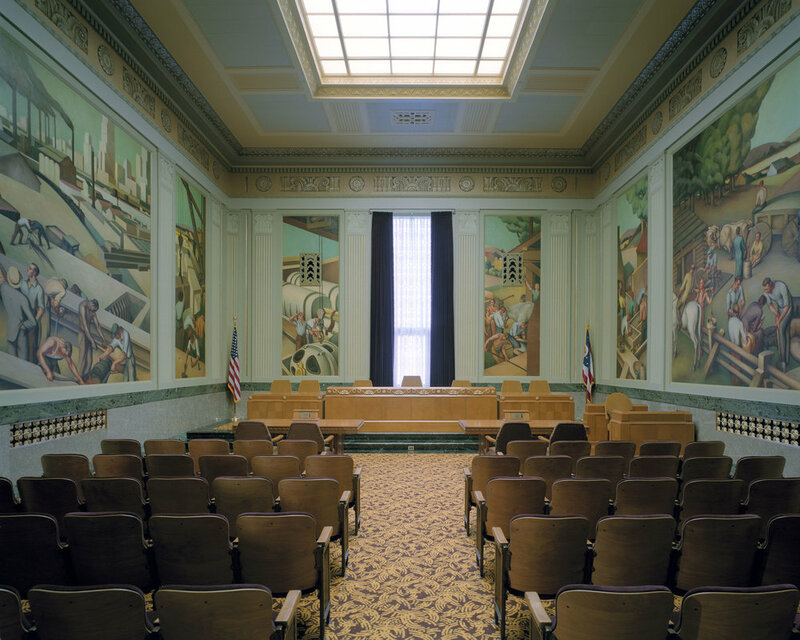 All of the work was accomplished within a detailed preservation zoning plan developed during the Master Plan phase.